With 25 hp more than in the past and three races per weekend, the Dallara and Mygale challengers powered by FPT will be under the spotlight of an exciting season. 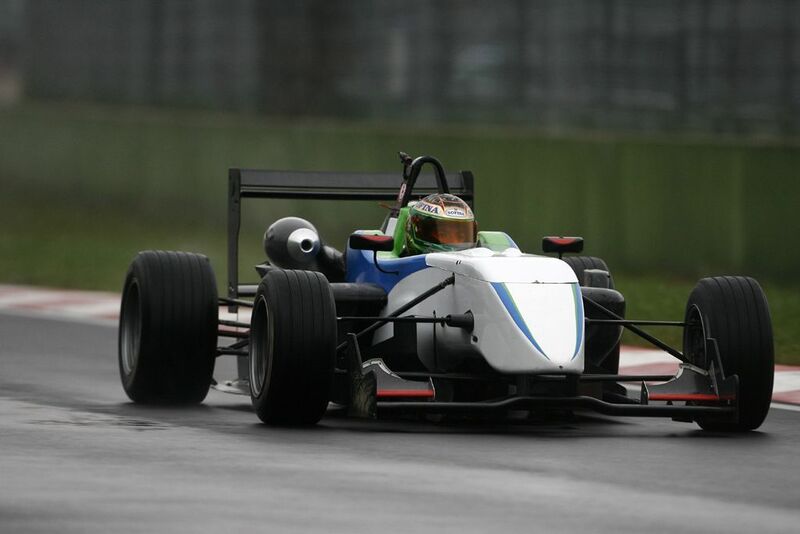 28/03/2012 - 10 youngsters coming from 7 different countries will open the first season of the Italian F3 European Series at the Ricardo Tormo of Valencia. The 2012 Formula 3 championship has been renewed in several aspects, starting from the format featuring three races per weekend that will award up to 53 points in one single event; the high-valued money prize, 180.000 Euros for the European season and a test with the Ferrari Formula 1 car and finally the 25 hp. 5 teams will be present in Valencia, starting from BVM that will take on track the Canadian Nicolas Latifi, who moved straight from karts to the continental Formula 3 Italian and Mario Marasca, the young driver from Rome that has done good things in Formula Abarth last year. 3 cars will be lined up by Prema Powerteam with 2 "veterans" of the championship like the French pupil of the Ferrari Driver Academy, Brandon Maisano, and Eddie Cheever that will race alongside the Brazilian Enrique Martins. Team Euronova Racing led by Vincenzo Sospiri will bring on track a new entry of the Italian F3 European Series, the Japanese Yoshitaka Kuroda coming from Formula Abarth and the young driver from Moscow Sergey Sirotkin,who will also be involved in Auto GP with the team of Sospiri in Valencia. Two rookies will be lined up by team Ghinzani too as they gave their Dallara to two drivers coming from Formula Aci-CSAI Abarth, the Romanian Robert Visoiu and to the Catalan Gerard Barrabeig, with the latter protagonist last November of the Federal CSA-FDA course of Vallelunga together with Sergey Sirotkin. The only Mygale on track in Valencia is that belonging to team JD Motorsport and driven by Riccardo Agostini, the young driver from Padova coming from Formula Abarth too. 7 rookies will therefore be competing for the championship, 6 of which come from the Formula ACI-CSAI Abarth; moreover, Yoshi Kuroda, despite not being a rookie, also raced last year in the federation championship winning the Trophy named after Michele Alboreto. TV coverage on Rai Sport 2 has been confirmed for 2012 too. The programme of the first race of the Italian F3 European Series will begin on Friday 30 March with 2 free practice sessions of 45' each (the first at 10.30 GMT+2 and the second at 14.15); the two qualifying sessions will follow at 16.55. On Saturday 31 March, the first race will be live on Rai Sport 2 at 11.20 on the length of 22 + 1lap. At 16.20 (recorded on Rai Sport 2 at 00.30) race 2 (30' + 1lap) will end the Saturday's programme. The sprint race (15' + 1lap) will start on Sunday at 11.20 (recorded on Rai Sport 2 at 23.00).